Give $50. Get $50. Refer a friend to B12. As we look to grow B12, we would love your help spreading the word. If you know a friend looking for a new website, simple refer them to B12 and you can each get $50 towards your B12 website. 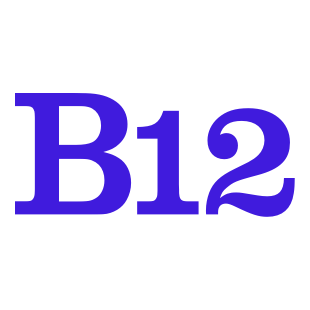 Go here and refer your friend to B12 by sharing their email address. Your friend will receive an email from B12 with a link to sign up and instructions on how to redeem their $50 offer. Once your friend has been with B12 for three months, you will receive a $50 credit to your account and our eternal gratitude. The program is available to all B12 customers. If you are not a customer and want to send someone our way (thanks!) and check out our partner program. Those referred must be new customers to B12 in order to be eligible. Referral links must be shared via email or social media and will not be eligible if posted on a public forum. Customers are eligible to receive up to $1,000 in referral bonuses. If you plan to send more customers our way, check out our partner program.